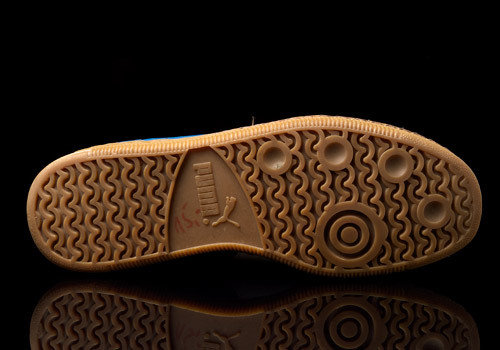 There are literally as many types of handball as there are major sportswear and sneaker brands, ranging close to a dozen, and that’s before one even takes into consideration the possible variations and regional rules that my differ from one culture to the next. Most notably, ‘Team Handball’ (also referred to as Olympic or European Handball) is quite a famous sport, still running strong today from its humble beginnings way back into the Middle Ages. But despite this widely spread athletic practice, it’s a funny thing in that handball itself isn’t a sport that many trainer fanatics may typically consider in their day-to-day lives. 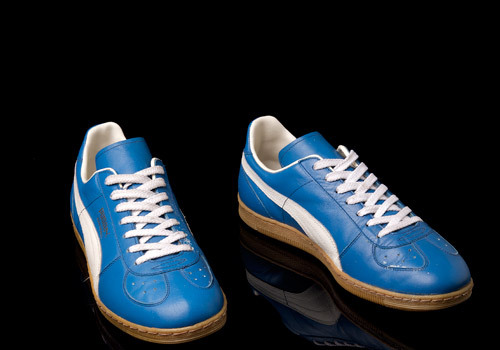 Even so, it seems almost as if it’s some rite of passage for the major sole producers to push out a series of handball shoes and in this vein PUMA is no exception. 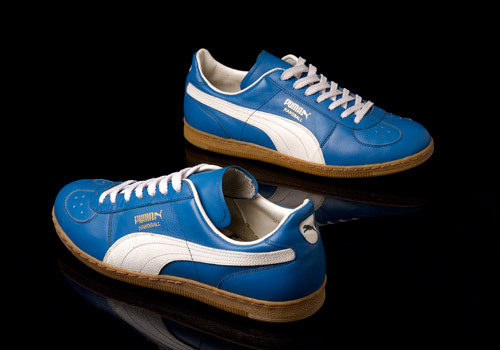 Of course, produced under the above-mentioned guise of a pair of athletic trainers, it’s sure that these Yugoslavian-made PUMA Handball’s are sought after for their casual and fashionable appeal. 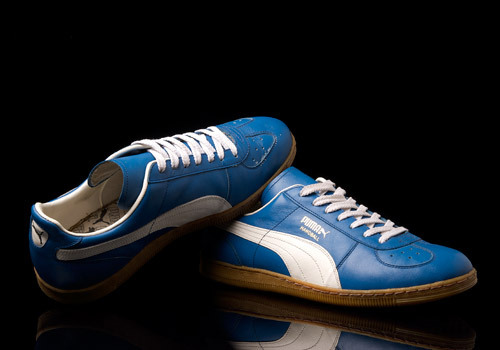 One-upmanship has always been – and likely always will be – a part of the worldwide trainer scene, and the make, model, and material are certainly factors in the proper sizing up of a solid pair. 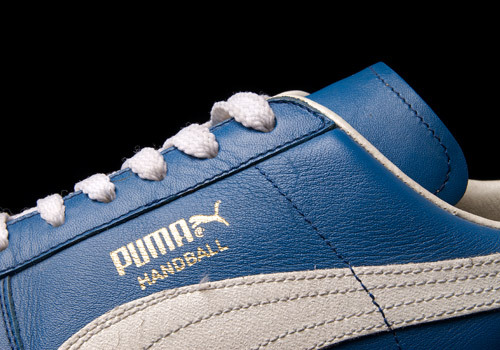 With these Handball’s though, it’s no doubt the colorway which will be grabbing all the attention. 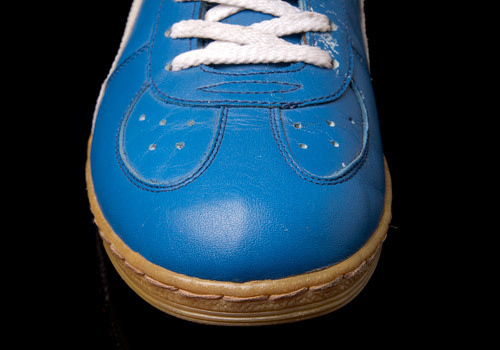 Beyond that the silhouette itself has a subtle, yet definite originality to it with the inclusion of the two, separated toe box perforation patches; a feature that certainly sets it apart from many other vintage, low-cut shoes of its time. 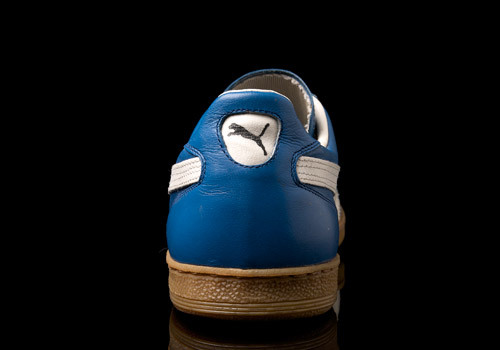 A sky blue breath of fresh air, boasting not only a dynamically shaped silhouette, but also an incredibly clean design due to the absence of the over-branding which typically appears sewn or printed onto the tongue. 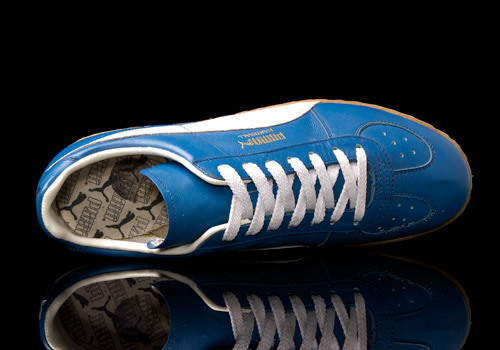 Instead, left blank, it whispers class in a comfortable, casual, and definitely collectible way. 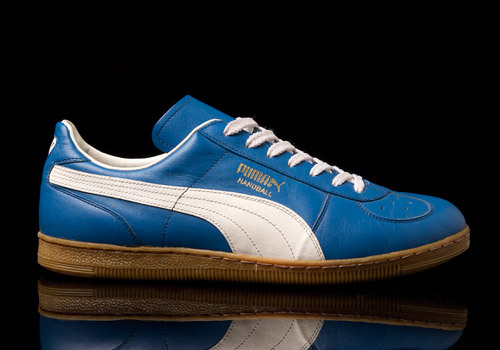 If you happen to see a pair of these in your size float by on an affordable auction out in the clouds you’d better act fast as they were never re-issued and are surely a shining point in PUMA’s back-catalog.